Harmful UV rays can damage and causes premature aging of the skin. Take your sun protection to the next level with the all-new, revolutionary 'inner sunblock' skincare supplement, SOS UV Porcelain+. 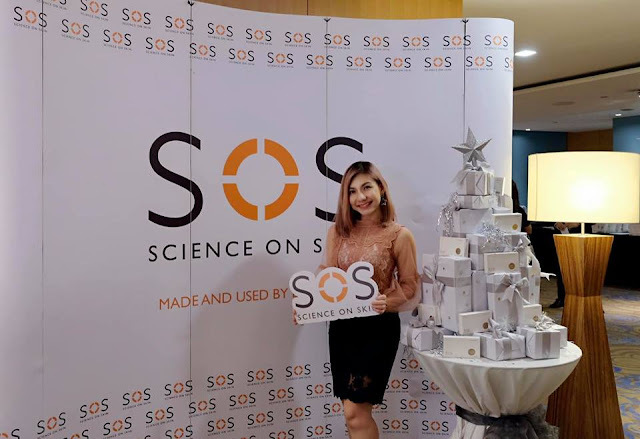 A breakthrough in skincare technology, SOS UV Porcelain+ was officially launched at a Doctor's conference event held in Westin, Kuala Lumpur last month. Setting a new benchmark for oral skin supplements, Science On Skin is formulated with the revolutionary UV Porcelain+ to provide broad spectrum UVA and UVB protection to transform your complexion into a firm, fair, luminous and glowing one. Its triple action formulation also stimulates skin's collagen and elastin production. The active ingredients of SOS UV Porcelain+ are encapsulated in quality modified-release capsules under the strict control of the US FDA, allowing for the proper transport of valuable ingredients through the stomach prior to being absorbed by the body. Daily beauty regime is now simplified into a single 750mg capsule daily. L-glutathione - An anti-oxidant made of amino acids that lighten skin pigmentation, blemishes, dark spots and evens out skin tone while also providing skin whitening effects. Polypodium Leucotomos - Protects skin from harmful effects of UV light and repairs tissue post-exposure. Vitamin C - Promotes brighter, glowing skin by fending off signs of ageing, exfoliating dead skin cells and increasing L-glutathione levels. Collagen Peptides - Bioactive ingredient that rejuvenates skin cells, reduces fine lines and increases skin elasticity. Proprietary Alpha-Porcelain - Allows the active ingredients to maintain their singular benefits when mixed to work synergistically. Earlier this year, the brand launched a trial campaign with selected beauty personalities to experience the effects of the product. It was a huge success with most reviews showing positive and significant improvement of skin quality, radiance, texture, firmness along with the reduction of pigmentation such as acne scars and freckles as well as reduced fine lines and wrinkles. 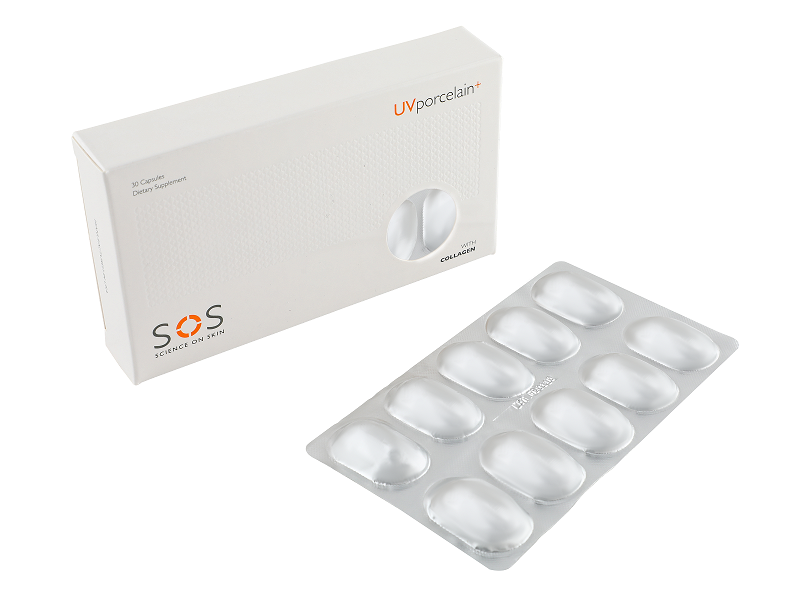 SOS UV Porcelain+ is priced at RM429.00 per box(30 capsules), available exclusively at reputable clinic, dermatology and aesthetics practices. Manufactured in USA and certified by US FDA, SOS UV Porcelain+ is magic in a pill that your skin will thank you for. May your inner sunblock grow and your skin glow!